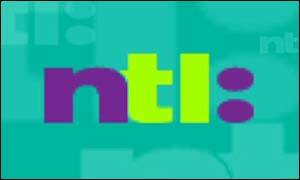 The cable TV company NTL has emerged from bankruptcy protection in the United States. The firm said it had reached an agreement with its lenders to swap $10.9bn (�6.8bn) of debt for new shares and bonds. NTL's businesses are in Europe but it is listed in the US, where it filed for bankruptcy protection from its creditors last May. It collapsed under the weight of debt it had built up during an acquisition spree at the height of the technology boom. NTL's shares reached at height of $136 three years ago, but closed on Friday at 2 cents. The firm's reorganisation plan, which has been approved by the US bankruptcy court, turns the business into two separate companies - NTL Incorporated, which is made up of the old UK and Ireland businesses, and NTL Europe. The company's chief executive, Barclay Knapp, said: the announcement "marks a new beginning for the company and is a tribute to the tremendous co-operation of our creditors and their confidence in NTL". NTL reported in November that its profits before tax, interest payments and financial charges had risen to �182m in the July to September period, up from �174m during the previous three months. The company's stronger bottom line reflected tough cost-cutting measures which have meant the loss of about 8,000 jobs over the past two years.